This Southern California indoor tan salon chain is a market leader in one of the most prominent territories the state offers. This approximate ten location chain offers its buyer the incredible opportunity to enter a coveted California market with an immediate presence and capitalize on an operation that generates over $3,000,000 in annual revenues. This sale is ideal for a national operator who seeks to immediately dominate a coveted market or independent entrepreneur who seeks to implement their brand or continue to build the existing brand. 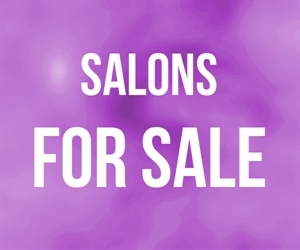 Location and Facilities: This salon chain includes a number of formidable operations located in high exposure malls, shopping centers and main-street thoroughfares. All of the business s assets shall transfer in the sale including the furniture, fixtures and recently upgraded equipment. Inventory estimated at approximately $20,000 will be included in the purchase price. Leases on certain recently upgraded equipment will be transferred to the buyer. Market Information and Position: This business has plenty of remaining growth potential. The general improvement to the economy as well as recent resurgence of the tanning industry s popularity has positioned this opportunity for strong future growth. Competition is considered to be medium as other salons exist in the market.